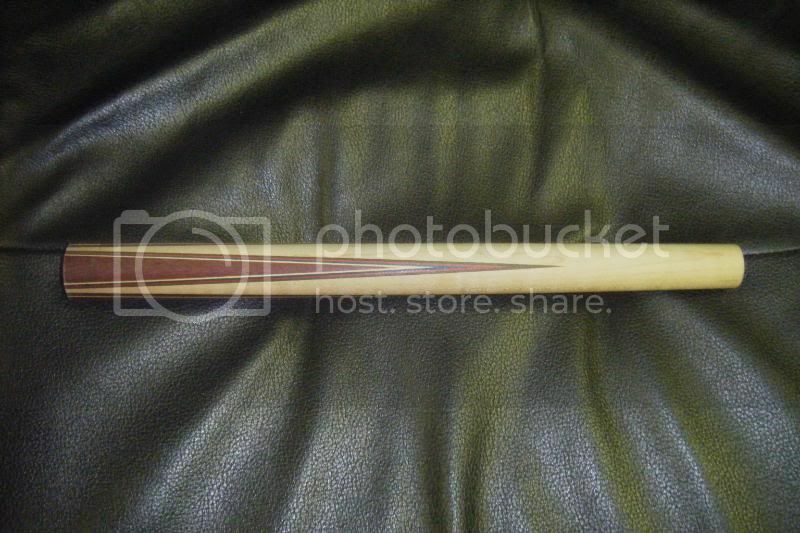 To start, a "V-Groove" is cut into the forearm to accomodate the point stock and veneer. There are a number of setups used to get there. 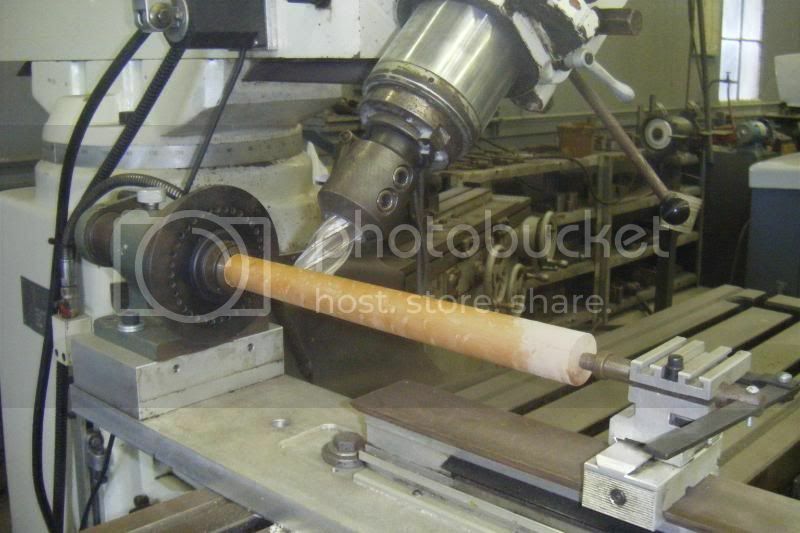 Some cuemakers use a large milling machine with the head tilted, but many use 90-degree double-angled cutters on desktop mills, toolpost-mounted routers on lathes, radial arm saws, and even table saws. Use the tools you have and that you feel safe and comfortable with. Bob Dzuricky of DZ Cues uses a CNC controlled mill to cut his point grooves. It is also important that the point stock be completely square. 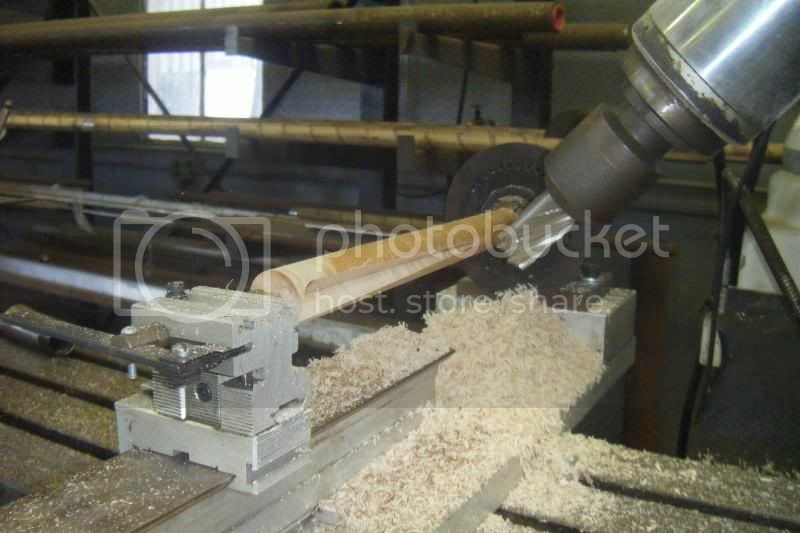 This can be done on a variety of tools, including a mill, jointer, planer, drum sander, and edge sander. Check out Bob Dzuricky's point stock station on his CNC. Next up is Murray Tucker of Tucker Cue Works. Here's his description and setup below. 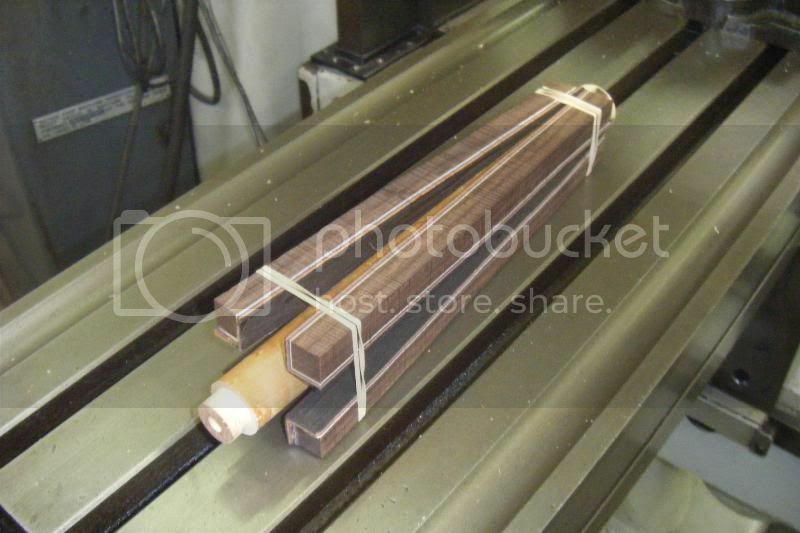 "First we put out forearm wood into a fixture that will allow us to index it to cut the desired number of points. Then we cut "V's" into the forearm. 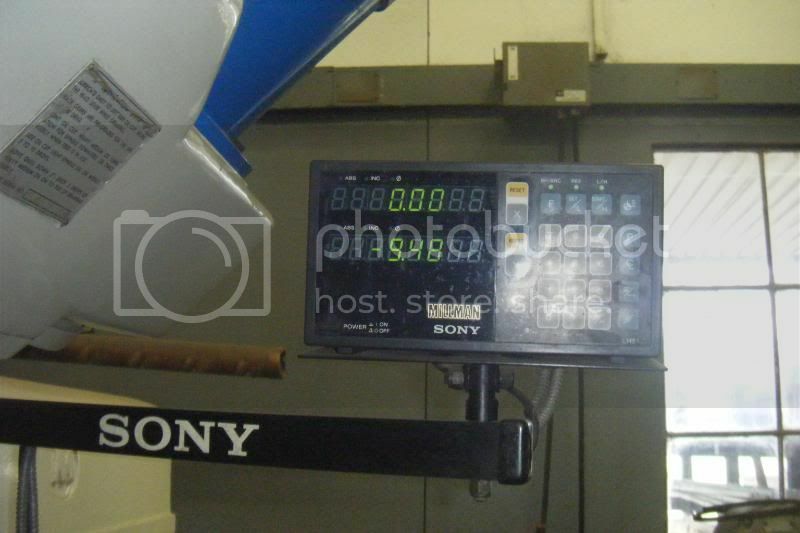 My mill had a DRO (digital read out) which makes repeating steps easy. Once all the V's are cut we can glue in our point stock. And here is the finished product ready to be joined to the handle." Murray's pictures skip a couple of steps, and Scott R has filled in the blanks a bit with some of his own progress pictures. First up is an ebony blank with V grooves cut. There's second blank in there- it blew out when the cutter went too deep. Here's a closeup of the ebony point sitting in a set of mitered veneers. And here's the forearm after the excess parts of the points and veneers have been trimmed off and tapered round. But we're getting ahead of ourselves. Check out the other sections on Overlapped and Mitered Veneers. More information on Bob Dzuricky of DZ Cues can be found on his website http://DZCues.com. He's got a wealth of information there. Scott R's temporarily retired from cuemaking.